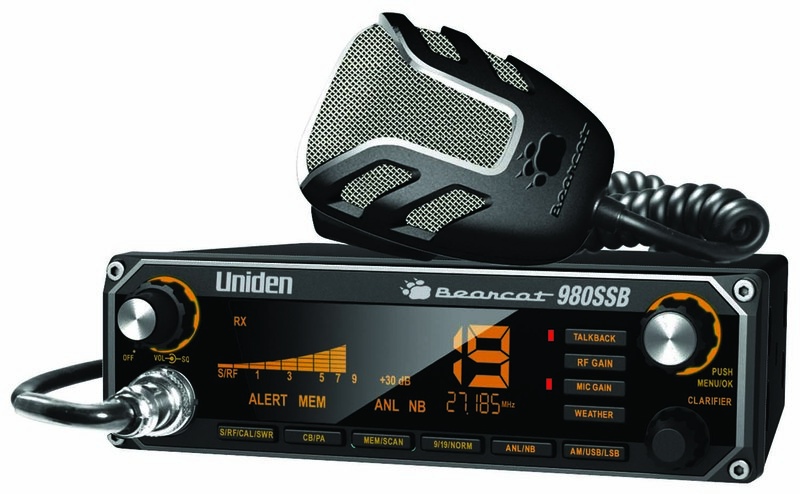 The Uniden Bearcat BC980SSB is one of only a few CB radios available today that features Single Side Band (SSB) capability. The advantage of SSB is expanded use of AM radio frequencies by utilizing the upper and lower side bands. The USB and LSB provide an additional 80 channels to the radio operator. Once considered the Holy Grail for CBs SSB radios are still popular but hard to come by. The Uniden BC980SSB, a Bearcat CB model, is one of the best, highest quality single side band radios in production today. Users of the Bearcat BC980 will appreciate the modern, well lit display that feature positive controls and a front mount mic connector for ease of access. The ANL/Noise blanking circuit, frequency counter, PA, NOAA weather channels, 7 color display, memory scan, and available wireless microphone make the BC980SS the most feature rich CB you'll find anywhere. This CB radio includes a mounting bracket with 2 5mm thumbscrews for mounting.